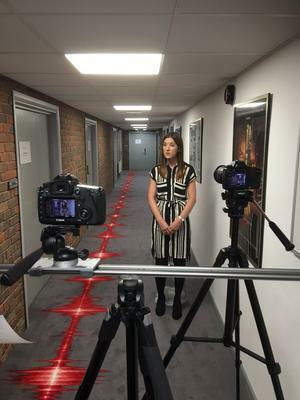 Brintons has created a stunning bespoke carpet, in partnership with Barbarella Design, for one of the UK’s most renowned motion picture and television companies; Twickenham Studios (TW1). 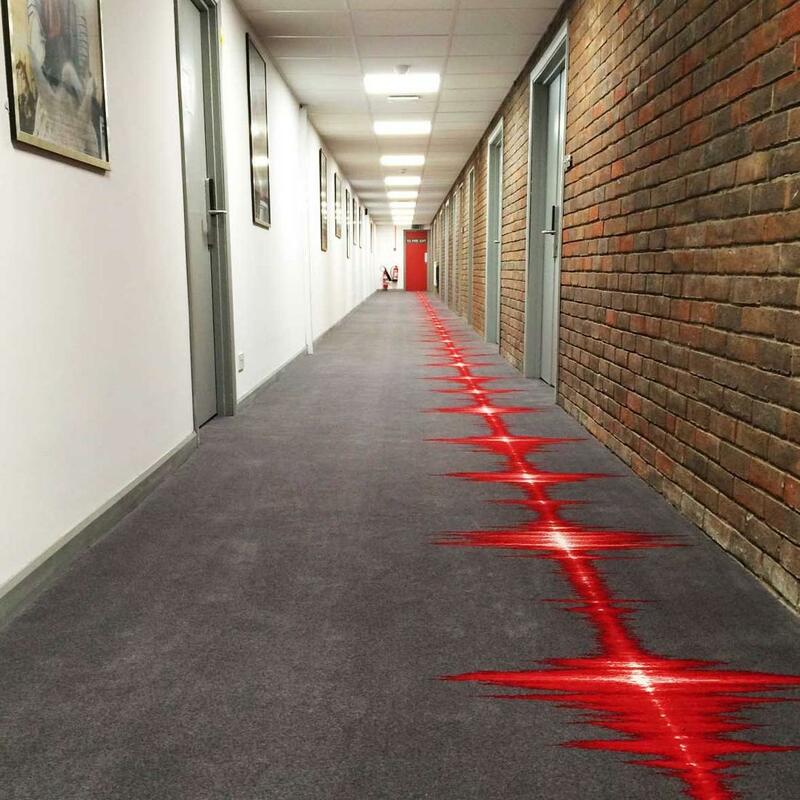 Custom Axminster carpet was supplied to the independent film studios based in West London, which has a distinguished history creating some of Britain’s most iconic films including the Beatles Help!, Italian Job, and most recently The Best Exotic Marigold Hotel, Legend and The Martian. 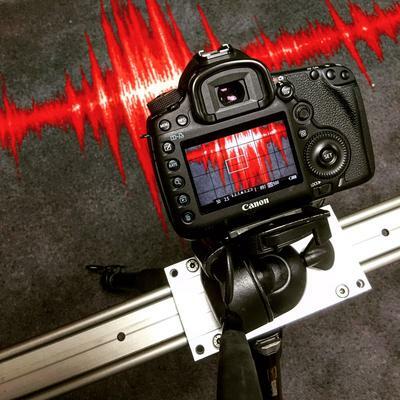 The main aim for the carpet was to the reflect the importance of the Sound Centre for the studio. Together we created an exciting design that reflected the practicalities of the centre but simultaneously its renowned spirit too. 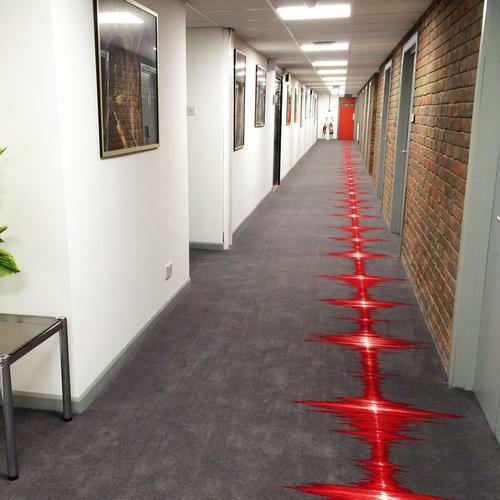 The challenge was to elevate a long, dark corridor with no noise issues into a stimulating, creative space. We wanted the carpet to have the same show stopping appeal as the rest of the centre, which we achieved through a combination of shades and styles. 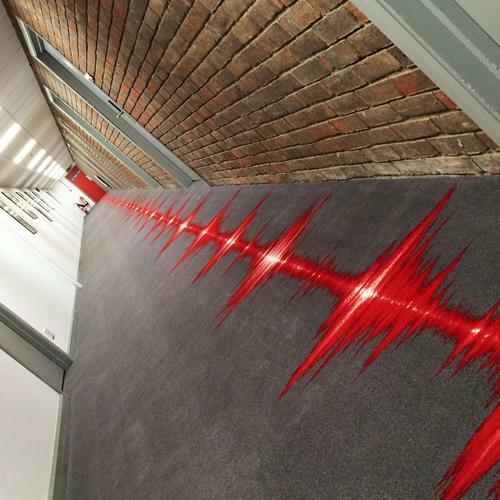 The carpet was specified for the heart and soul of the studios, The Sound Centre, which required 291 m2 of bespoke carpet. 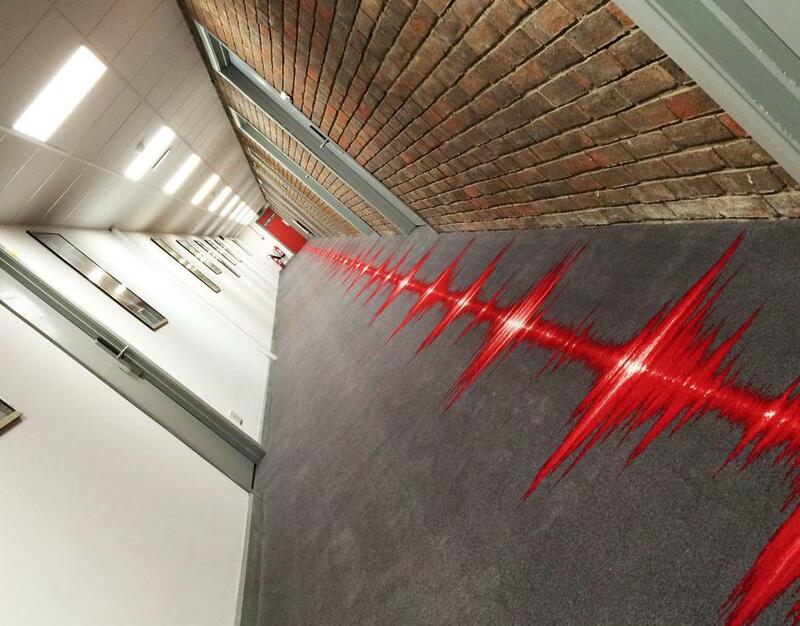 To reflect the significance of the space, a custom design was based upon the concept of a sound wave using the iconic TW1 colour scheme of red, grey and white. 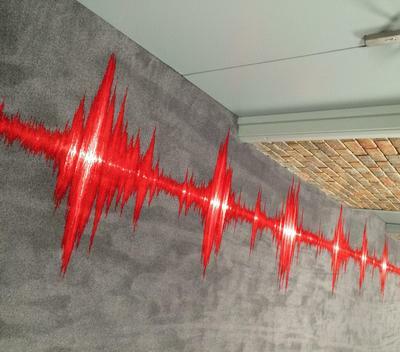 The contemporary design, featuring a vibrant red and white sound wave, spans the length of the sound studio, with the iconic shades of grey incorporated into the background of the motif.